The deadline for submitting an online application for the most desired scuba diving scholarship in the world has changed. 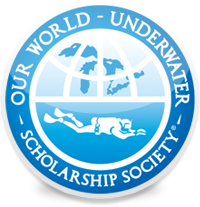 Online applications for the 'Our World-Underwater Scholarship Society' North American, European and Australasian Rolex Scholarships or internships must be RECEIVED no later than 1 December 2017. These scholarships and internships are highly prized because of the opportunities and doors that are opened to the successful candidate. Each year a Rolex scholar is selected from North America, Europe, and Australasia and they get to work with leaders in marine-related fields. The scholars spend a year travelling around the globe, gaining invaluable hands-on experiences in various aspects of diving. These can include scientific, media, biology, hyperbaric medicine, tourism, journalism, dive management, education and publishing. In order to be eligible the applicant must be born between 12/02/1990 and 12/01/1996 to be eligible. (It is believed that the date is displayed in the American format, therefore the correct date is 2nd December 1990 and 1st December 1996). Full details of how to apply for the 2018 OWUSS Rolex Scholarships can be found here.